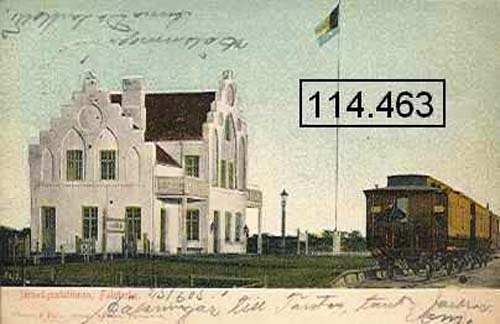 Stationhuset on Hjalmar Gullbergs Plan in Falsterbo was originally a railroad station. 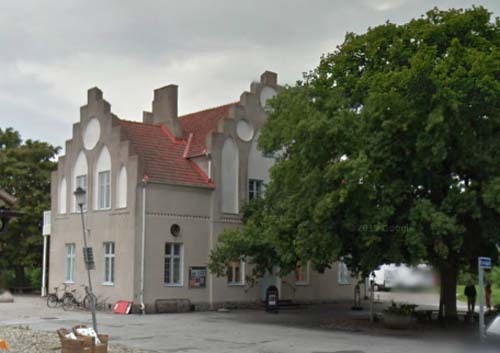 Today it is a art center, Falsterbo Konsthall and in 2007 Vellinge Kommun took over the responsibility for the gallery. 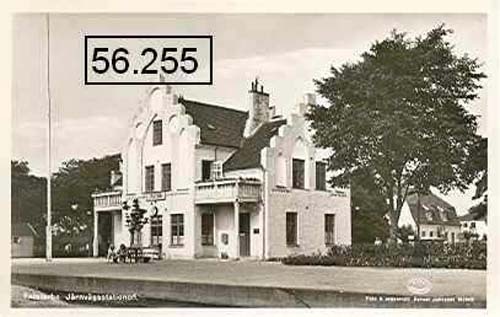 Between 1903 and 1971 it was a Stationshus for the SJ, the Swedish railways. The station building was built in 1903 and designed by architetc Theodor Wåhlin who have been inspired by the Scanian churches whites stepped gables. The ground floor housed a the waiting room, cargo handling and ticket sales, the top floor was the home of the stationmaster and his family. 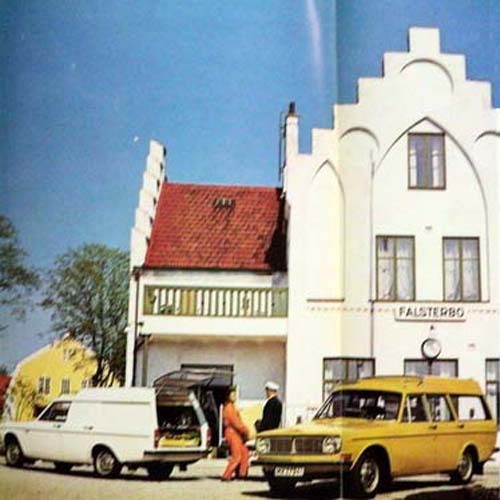 The building was used as a station until 1971 when the last train from Falsterbo resigned. Before the gallery went over to Vellinge was driven by the Foundation St. Olaf’s Guild. Here it was originally Magnus Liedholm, noble blacksmith, who in 1975 had the idea of forming an association of artists who lived on the Isthmus. St. Olaf’s Guild was formed in 1975 and moved the business into the station house. In the gallery’s back is now an old train wheel and a small exhibition on the station house’s history and about the time the train went all the way to Falsterbo. 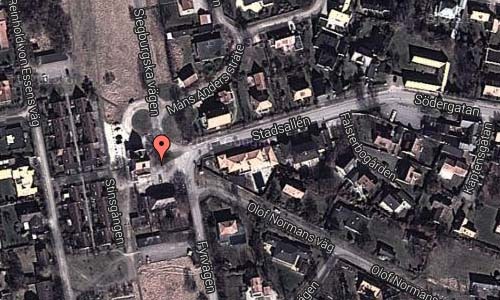 Falsterbo is a small town located at the south-western tip of Sweden in Vellinge Municipality in Skåne County. 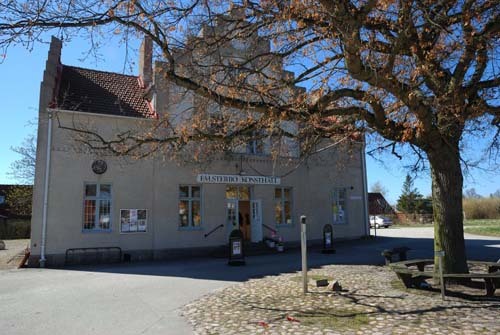 Falsterbo is situated in the southern part of the Falsterbo peninsula. It is part of Skanör med Falsterbo, one of Sweden’s historical cities. 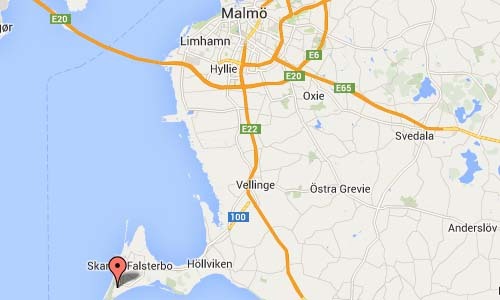 Falsterbo is mostly known as a holiday destination where people go to spend their summer vacations. The beaches of Falsterbo are known for their white sand and family-friendly bathing opportunities. Falsterbo is also known for one of the better golf courses in Europe – Falsterbo Golf Club. Another attraction in Falsterbo is the annual International Horse Jumping Grand Prix (part of the Falsterbo Horse Show) every July. Local landmarks include Falsterbo Lighthouse which lies on the site of the oldest known beacon in Scandinavia. Other sites of note include Falsterbo Bird Observatory, Falsterbo Museum and the historic Falsterbo church.